The City of Oxford Rowing Club has a range of squads which offer the chance to participate in rowing as part of a team. Find out more about the squads below and decide which journey you will take! These squads participate at the highest club level, competing at major national and international events, aiming for a high placing at Head of the River. 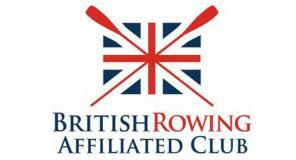 The Senior Squad aim to multi-lane and other prestigious regattas, and be a competitive force at Henley Royal Regatta. The Senior Squad aim to win multi-lane and other prestigious regattas, and be a competitive force at Henley Women's Regatta. The Intermediate Squad is for rowers aiming to compete and win at regattas other than Henley. Intermediate Squad members train at a slightly lower intensity and frequency compared to the Senior Squads and so offer competitive rowing to those whose work and/or family commitments don’t allow for the level of training expected at senior level. Intermediate Squad members who wish to do so can qualify for Senior Squad membership during the season, provided they can meet the relevant standard and fitness level. The Masters’ Squad is for men and women aged 27+ with previous rowing experience who wish to be an active member of a close-knit squad. Camaraderie is key to the squad, the aim being to sustain a supportive environment with a big social spirit, inspiring confidence, motivating individuals and enabling crews to compete to the best of their ability. Members who successfully complete the 6 week adult beginners course, as well as those who participated in the Corporate Eights Challenge will often stay on with the club and join our squad. The City of Oxford Rowing Club has a thriving and successful Junior squad. Our coaches are volunteers who are inspired by seeing juniors develop in the sport. The Junior Squad aim to win multi-lane and other prestigious regattas, and be a competitive force at national events. Adaptive rowing is rowing for people with a disability and is about removing barriers to participation in the sport for anyone who has a physical, sensory or learning impairment.